I agree with Delia Smith. 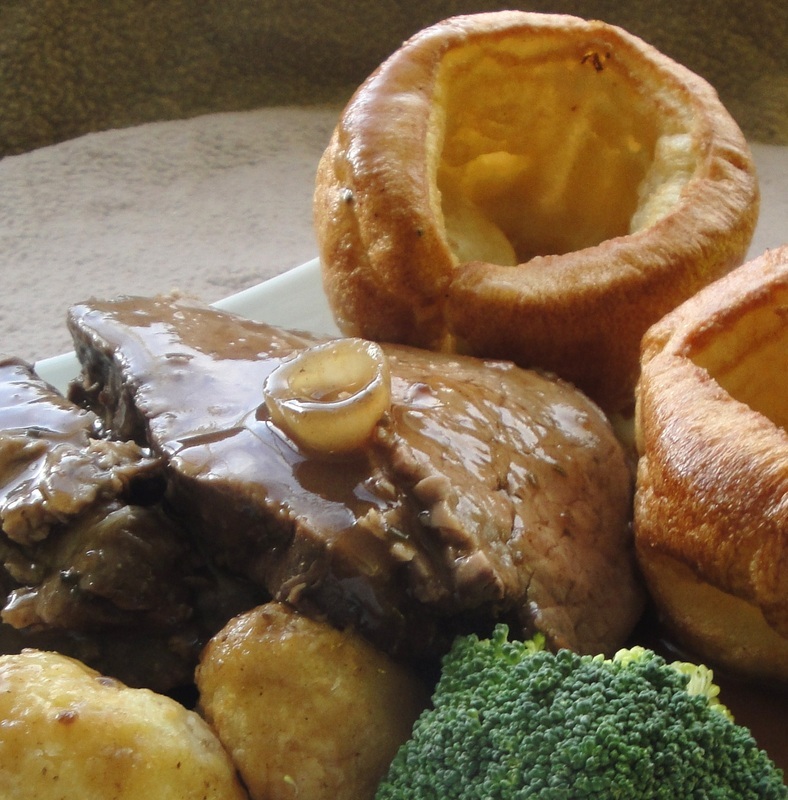 The British Sunday Beef Roast, is one of the world's greatest meals. 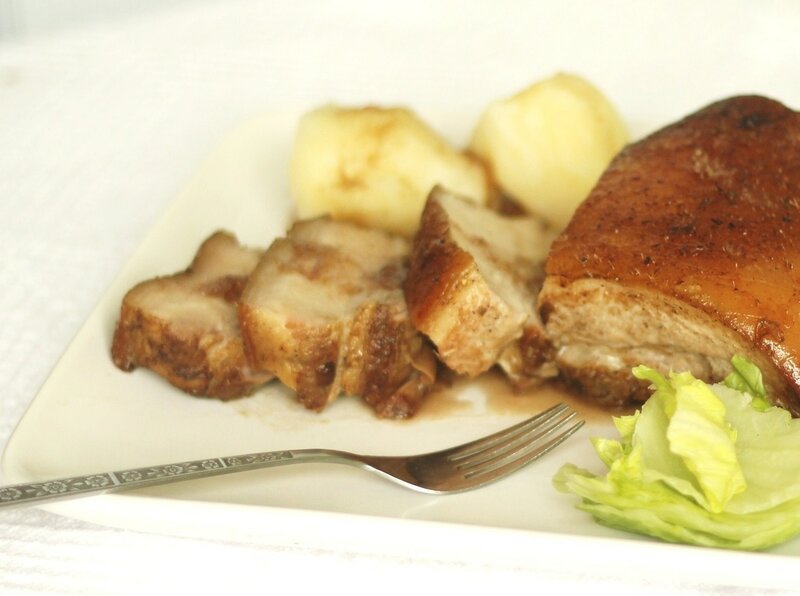 A roast can be made with pork, chicken, lamb, turkey, or even duck and goose. 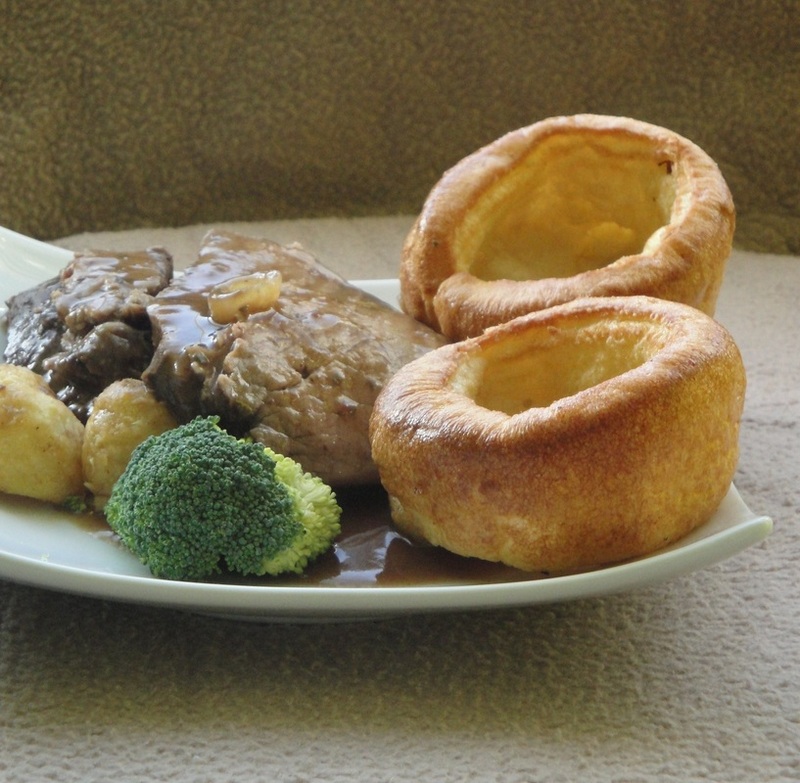 But beef is the most traditional cut of meat, and for me the best representation of a Classic Sunday Roast. 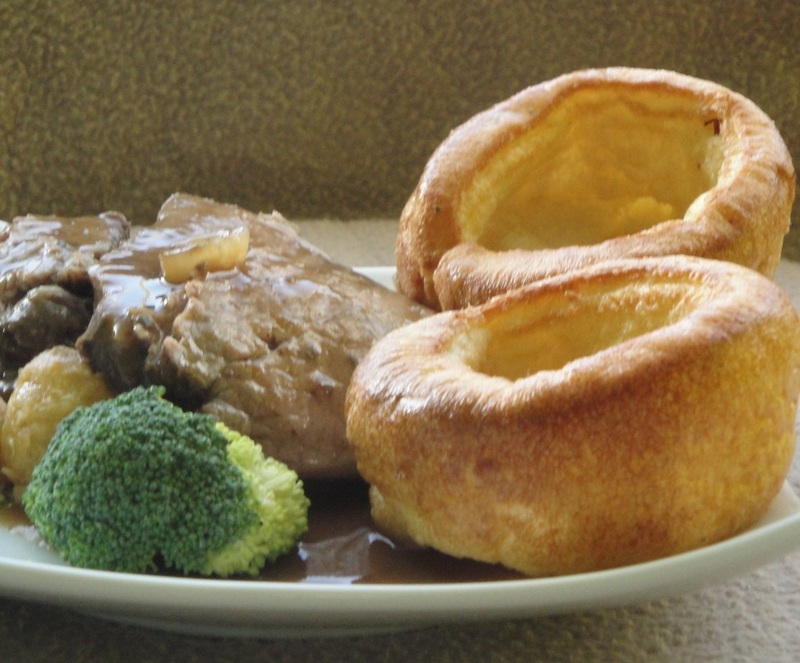 A traditional Sunday Roast Beef lunch or dinner must be served with roast and/or mashed potatoes, Yorkshire Puddings and gravy. Otherwise you might as well not bother. 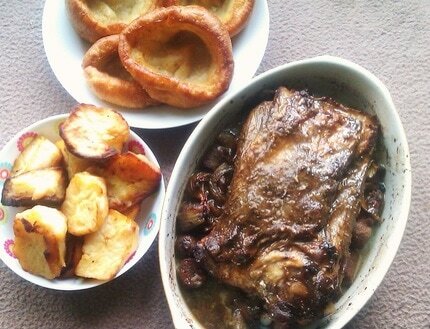 Yorkshire Puddings are one of my favourite foods in the world. But this recipe is JUST for the beef. I can honestly say that this is one of my ALL TIME FAVES. In fact, many British foods and ingredients are now widely used and consumed across the world. Worcester Sauce, Cheddar Cheese, Fish and Chips, Shepherd's Pie, Apple Pie-actually originates in the UK, and Sponge Cakes. 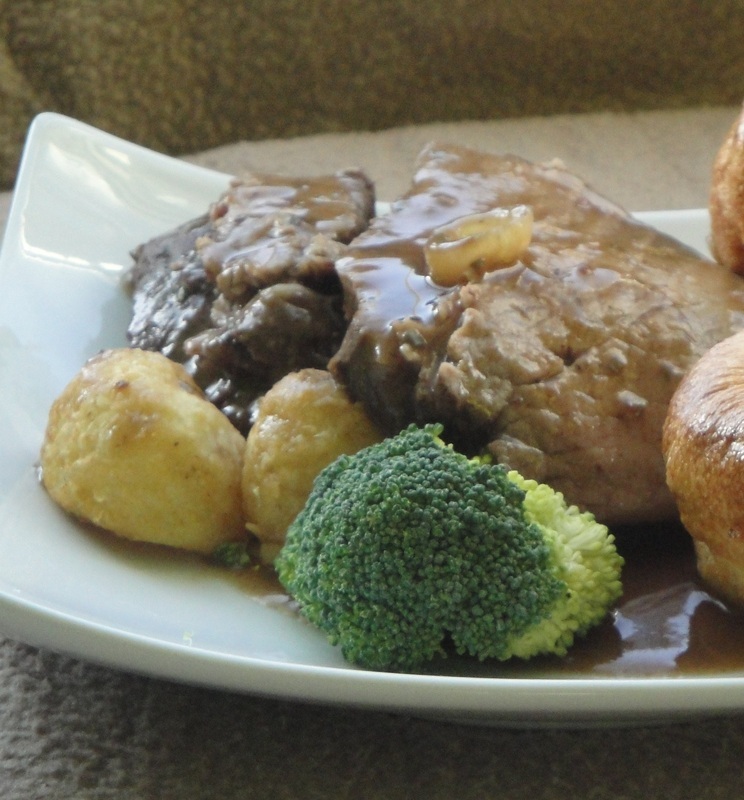 This recipe is for the The Best Roast Beef Ever. 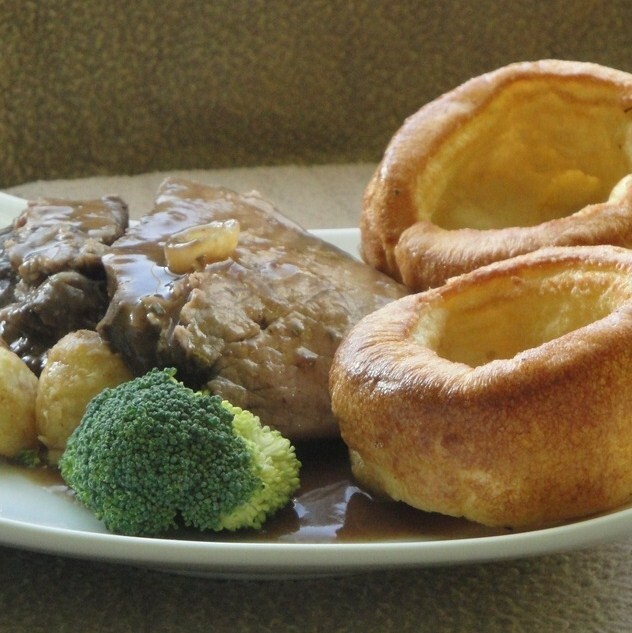 Before Popping the Beef in the oven, pour a little water into the roasting tin to ensure the drippings are caught...and lightly sprinkle salt evenly over the top of the beef (approximately 1/2 tsp of salt) even though there is salt already in the mixture. Let the meat sit on top of the onion and garlic. ​Preheat your oven on high and follow the cooking instructions on the packet of beef, or use your judgement. Ovens vary greatly. 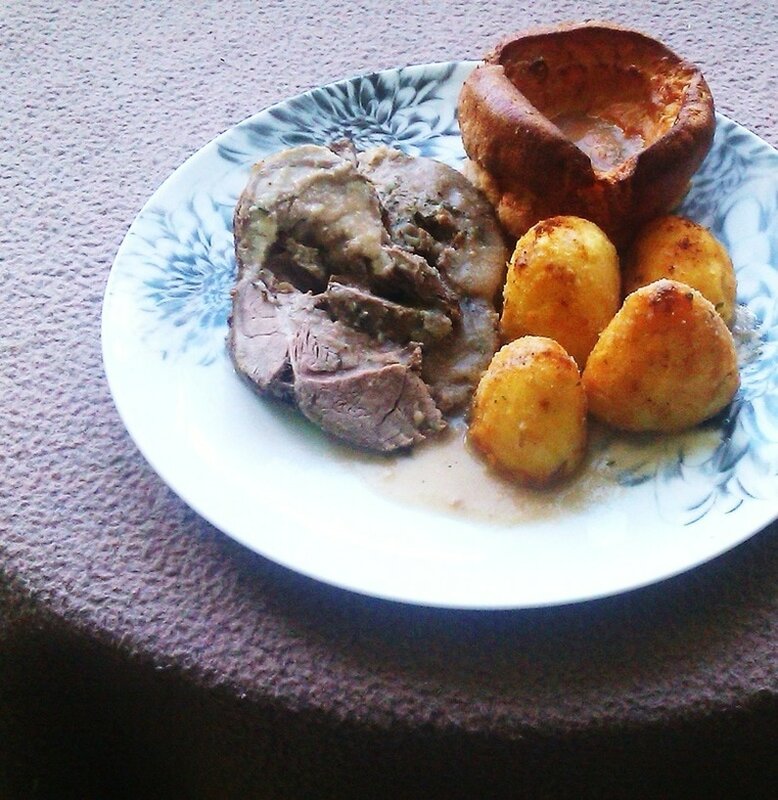 I do not like my roast rare or well done. I like it medium. I roasted this joint for 1 hour and 50 minutes at 240 C. Once roasted, leave the beef to sit for at least 30 minutes. ﻿Scrape all the goodness from the bottom of the pan and pour it into a pot, add 1 cup of warm-hot water. Pop it on the stove, turn to medium high and bring to a boil, AND STIR. Turn to higher heat if necessary, but turn down to medium if it starts burning. Add 1 OR 2 Beef Stock Cubes and stir.